Samsung has started mass producing what’s being called the industry’s first ePoP, or embedded package on package. By combining two key smartphone elements into a single package, Samsung’s solution promises to offer high-end handset makers up to 40 percent more space. The company has been offering a similar single-package solution for wearable devices for some time now. That package, called wearable memory, includes DRAM, a controller and NAND flash on a single chip that can also be stacked on top of an application processor. Creating an ePoP for smartphone use, however, presented an issue due to the fact that flash memory is sensitive to heat. As you know, high-end smartphone chips are much faster - and therefore generate much more heat - compared to chips found in wearables. 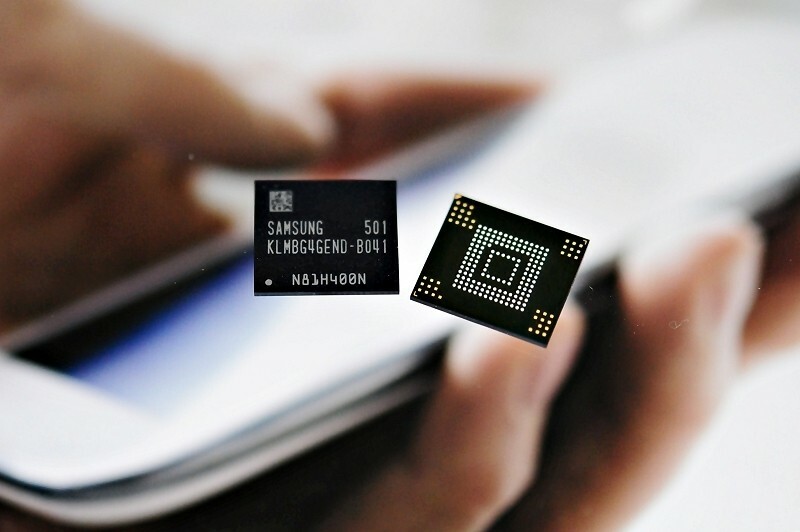 The Korean tech giant’s ePoP for smartphones combines a 3GB LPDDR3 DRAM module, a 32GB eMMC (embedded multi-media card) and a controller into a single package. The 3GB LPDDR3 mobile DRAM operates at an I/O data transfer rate of 1,866MB/sec and supports a 64-bit I/O bandwidth. What’s more, the package can be stacked directly on top of the mobile processor without taking up any additional space as the package features special heat resistant properties. It’s a distinct improvement over existing two-package eMCP memory solutions that could afford manufacturers the freedom to install larger battery packs or further help to reduce device thickness. Over the coming years, Samsung said it will expand its ePoP lineup to include packages with enhanced performance and density.